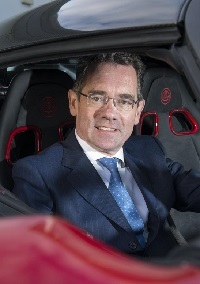 The news, marking a major milestone in the history of Lotus Group International Limited (LGIL), is that the company finished the 2016/17 financial year on plan, with positive earnings before interest, tax, depreciation and amortisation of £2m, a major achievement compared to 2015/16, when a £16.3m loss was recorded. There has also been a significant improvement in profit before tax, from a £41.2m loss in 2015/16 to a £11.2m loss overall in 2016/17, the company recording a profit before tax improvement of £10m in the second half of 2016/17 compared to the first six months of the year. “Looking ahead, it allows Lotus to concentrate on the next stage of the business’ development, and a return to full year profit before tax for FY17/18,” the company said. 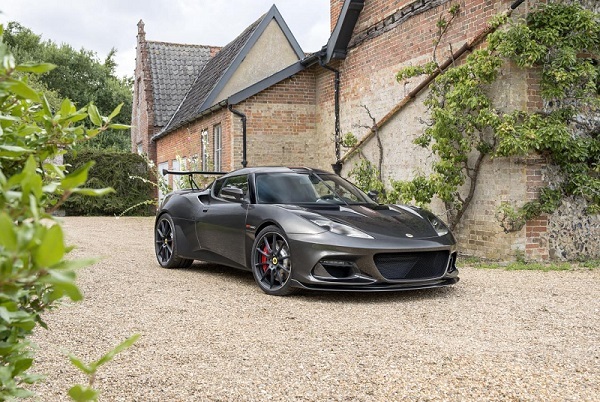 Lotus said key to the turnaround was the successful introduction of a completely revised product portfolio, with new benchmark sports cars within the Evora, Exige and Elise model ranges together with the new Lotus 3-Eleven. “Focusing on its core strengths of engineering and core brand values, Lotus is now producing its strongest ever line-up of cars, and the results pave the way for future investment and the development of new models,” a company statement continued. Lotus has launched products in new markets, including the US, and opened new dealerships across the globe, increasing from 138 sales points in 2014 to 215 today. For the background, BTN is publishing the following article from Club Lotus News, with thanks to Alan Morgan, chairman of Club Lotus since the early death in 1984 of the club’s founder Graham Arnold, the former Lotus Cars sales director. The club has around 5,900 members with some 90% in the UK and the rest scattered around the world. Club Lotus has 31 local area organisers in the UK who run various events including four annual track-days and offers regular stand presence at major events including the Silverstone Classic, Le Mans Classic, Donington Historic, Lotus Festival and the NEC Classic Car Show. Towards the end of June, Zhejiang Geely Holding Group (ZGH) completed the purchase of a majority stake in Group Lotus from DRB-HICOM, the parent company of Proton. This momentous news brings to an end the speculation and rumours about Hethel’s future that have been doing the rounds for several years. The initial deal is for ZGH to purchase a 51% majority stake in Lotus worth around £100m, together with a 49.9% stake in Proton. DRB-HICOM will retain 50.1% of Proton and will look to sell its remaining stake in Lotus sometime in the future. Unsurprisingly, since the news broke I’ve spoken to many people who are as keen and interested as we are to chat about what the future now holds for Lotus. They’ve included main dealers, trade specialists, enthusiasts, Club Lotus members and journalists. We’ve kicked around plenty of possibilities, wishes, fears and hopes but there’s one feeling that came out of pretty much every conversation and that is optimism. ZGH are making all the right noises about their intentions for developing Lotus and you only have to look at what they’ve achieved with Volvo to believe they mean what they say. They had a game plan for Volvo, invested huge sums and then let the management get on with running the business… and it’s worked out brilliantly. If they do the same with Lotus – and why wouldn’t they – there’s a very, very bright future ahead. It’ll not happen overnight mind, these things never do and it took 5 years for Geely to turn Volvo around. It all seemed way too good to be true and of course it was. Mr Bahar duly departed in 2012 – the less said about the circumstances the better – and the genial Aslam Farikullah took over as CEO. The new cars were of course cancelled and Hethel returned to, let’s say, more regular operation. Now it would be grossly unfair to criticise Proton’s overall stewardship of Lotus since 1996 in any way. They’ve presided over continual development of Elise and the birth of Evora, a new Exige and allowed Lotus freedom to launch the 3-Eleven; in short they’ve been loyal to the company and its heritage. But Proton have been struggling in recent years and consequently any serious investment in Lotus has been sorely lacking. Since 2012 Lotus has been treading water and trying simply to keep its head above the waves. Jean-Marc Gales became CEO in 2014 but was immediately shackled by zero investment. He was forced to cut costs just to find some cash to launch updated versions of existing models whilst at the same time striving to bring the business into profit. Sadly this included cutting around 300 jobs – a quarter of the workforce – including many experienced, skilled and loyal staff. Many talented others, frustrated by the lack of resources, have left of their own accord. It’s not been easy for the remaining staff, or to watch from outside, but progress is being made and J-MG can only work within the resources available to him. Let’s not forget that at least Lotus still exist – unlike TVR and many other specialist British car companies – and there’s every reason for those lost staff to hotfoot back to Hethel given the right circumstances. So who exactly are Zhejiang Geely Holding Group? Well, they’re based in the city of Hangzhou in South East China’s Zhejiang province and were founded in 1986 by Li Shufu, the company’s present chairman. They launched an automotive division in 1997 which now consists of three main businesses: Geely Auto Group, Volvo Cars and Geely Commercial Vehicles. They also bought the London Taxi Company in 2012. Their main brands are Geely Auto, LYNK & CO, Volvo Cars, Polestar, the London Taxi Company and Yuan Cheng Auto. It’s fair to say that ZGH are doing rather well of late. Total combined vehicle sales in 2016 were 1.3 million vehicles, with Volvo sales reaching an historic high of 534,332 cars globally and Geely Auto Group sales growing over 50% to reach 765,851 units in total, exceeding the group’s targets. In the first five months of 2017, Geely Auto Group sold a combined 441,854 units, an increase of 89% over the same period in 2016 and achieving 37% of the group's 2017 sales goal of one million units. Volvo sold a combined 223,290 units in the first five months of 2017, an increase of 8.9% over the same period in 2016. ZGH has over 60,000 employees across the world, and has been listed in the Fortune 500 for the past five years. Impressive stuff. Here’s what Geely’s executive vice-president and CFO Daniel Donghui Li said at the official announcement of the deal: “With Proton and Lotus joining the Geely Group portfolio of brands we strengthen our global footprint and develop a beachhead in South East Asia. Geely Holding is full of confidence for the future of Proton. We will fully respect the brand’s history and culture to restore Proton to its former glory with the support of Geely’s innovative technology and management resources.Reflecting our experience accumulated through Volvo Cars’ revitalisation, we also aim to unleash the full potential of Lotus Cars and bring it into a new phase of development by expanding and accelerating the rolling out of new products and technologies.” Exciting words that will make all of us very happy and, judging by Geely’s record, they’ll be matched by action. Understandably and perhaps inevitably there has been some speculation regarding the future of Hethel itself which represents a considerable overhead cost when production levels are where they have been for the last 3-4 years. However, at the press announcement Geely made a particular point of saying they will keep production at Hethel. They said that although the group would consider also building vehicles closer to their target markets as part of a longer-term strategy, they would still build Lotus cars at Hethel. To quote their spokesman: ‘We can see no need to uproot a company with more than 50 years of history in Britain. This is just like what we have done with the London Taxi Company; design in Britain, engineer in Britain, build in Britain.” Heart-warming comments indeed and this is exactly the approach they have taken with Volvo whose headquarters has remained firmly in Gothenburg. There’s a lot to do and several important questions to answer. What will be the future relationship with Toyota? Will the already announced new Elise still arrive in 2020? When will a brand new model (Esprit?) be launched as well as perhaps an SUV? Will Lotus actively market its highly profitable engineering consultancy services? All key decisions - and there will be many more - but there are certainly sunnier skies ahead and in my opinion the prospects for Lotus Cars haven’t looked brighter for many a year. 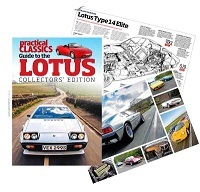 BTN editor-in-chief Malcolm Ginsberg was PR manager for Lotus Cars Ltd from 1968 until 1972. He retained a friendship with Colin Chapman, the marque's extraordinary leader, until ACBC’s early death at the age of 54 in 1982. A later edition of Business Travel News will offer an obituary of Team Lotus, which between 1962 and 1978 won seven Formula One Constructors' titles, six Drivers' Championships, and the Indianapolis 500 in the United States. Lotus left F1 at the end of the 2015 championship season.